Bishops Castle & District Community Land Trust aspirations are to deliver more jobs for the benefit of the local community, to support growth and sustain a local rural economy. Key aims focus on providing affordable housing to local people, premises for small businesses, making land available for allotments, market gardens, orchards and woodland and acquiring and holding land for any other use of benefit to the people of Bishop’s Castle and District. You too can be a part of local decisions. Community leadership, as already stated, has never been more important. A great example of Bishops Castle’s community commitment to retain local provision can be seen with its robust response to threat of closure of the SpArC leisure Facility with imminent withdrawal of funding. Enterprise South West Shropshire is also another great example – created in the early 1990s as a result of the recession when the town’s two largest employers, FarmGas and Walters of Ludlow departed and the area economy looked doomed. 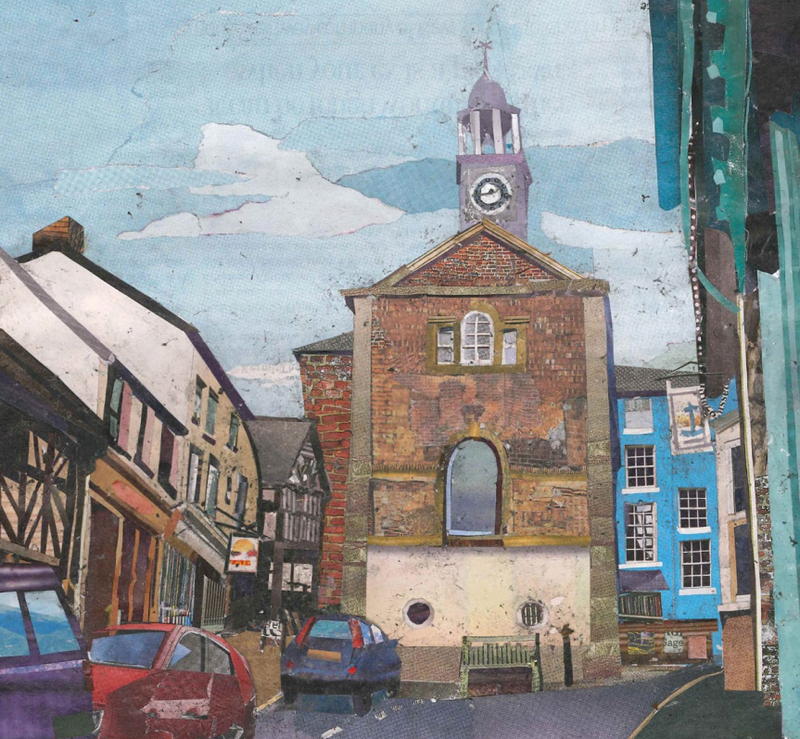 A local regeneration project jointly proposed by South Shropshire District Council and the local Parishes was presented to Central Government for large scale funding under their new Rural Challenge fund. ‘A Lifeline for Bishops Castle’ was born and funded to the tune of about £6m in order to carry out major regeneration work in the wider area. The flagship of the project was housed in the old Walters Trouser Factory in Bishop’s Castle; now called Enterprise House, which has grown and flourished over the years. Latest additions to the Company portfolio include the SpArC Theatre (2013) & the Library (2016). Enterprise South West Shropshire will likely submit a Community Asset Transfer in 2017. A partnership consisting of Bishops Castle Town Council, Enterprise South West Shropshire and Bishops Castle & District Community Land Trust, with support from County Councillor Jonny Keeley, is seeking the transfer of the Bishops Castle Business Park from Shropshire Council into the ownership of the Land Trust. In order to make an effective business case for this community-led development, we need to know what the likely demand might be for work units. The above survey is being widely distributed through a range of contacts and networks, to gather enough information that will enable us to make robust assessment of the area’s business needs.